“Growing together and living life to its fullest potential at each other’s side.” That was Brannie’s response when I asked her what she was most excited about with marrying Rob. 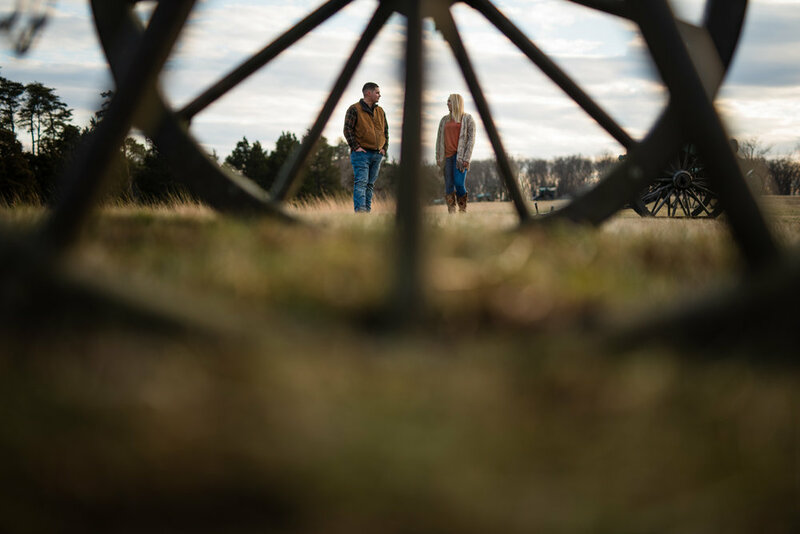 Brannie and Rob are two people who were perfectly natural together during their engagement session. It’s easy for two childhood best friends! 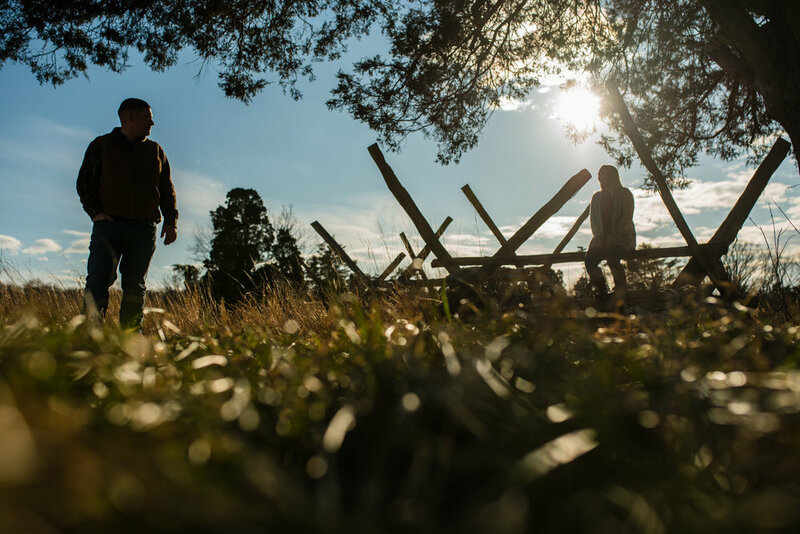 We went to the Manassas Battlefield and got the perfect setting with a mix of natural elements. From fields with high grass, to the fence lines and trees free of leaves, we had a playground of opportunities to showcase their relationship. They also brought their dog, Ollie, who is a big part of their family. We finished off with a beautiful patch of golden sunlight coming through the bottom of the clouds, giving us an epic final image to end the day. I can’t wait to celebrate with Rob and Brannie later this year! Enjoy their photo story below!